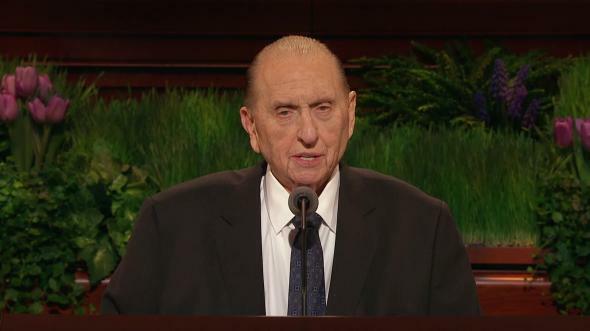 I echo President Monson’s compliments to Brother Peterson, Brother Komatsu, and Brother de Jager. They have earned our greatest commendation. And I, too, join with others who feel a debt of gratitude to this wonderful chorus of youth from Brigham Young University. They’re wonderful. To that question I responded with an emphatic, “Yes! Many things!” Because Ruth and John are typical of many today who seek for unchanging constants in a changing world, I would like to address that subject, titling my remarks “Constancy amid Change.” Through the years, prophets and Apostles have spoken of many unchanging constants.1 To facilitate this discussion, I will group some of these constants into three categories: heavenly personages, plans, and principles. Another personage is the Holy Ghost, whose enduring influence transcends time. 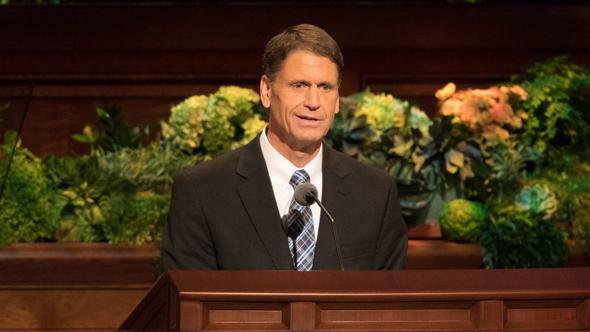 Scripture assures that “the Holy Ghost shall be thy constant companion, and thy scepter an unchanging scepter of righteousness and truth; and thy dominion shall be an everlasting dominion, and without compulsory means it shall flow unto thee forever and ever” (D&C 121:46; emphasis added). Brothers and sisters, these Heavenly Beings love you. Their love is as constant as is the greatest love of earthly parents. I speak now of category two—unchanging plans. A great council in heaven was once convened, in which it seems that all of us participated.8 There our Heavenly Father announced His plan. Scriptures refer to this plan of God9 by many names. Perhaps out of deference to the sacred name of Deity, or to depict its broad scope, it is also called the plan of happiness,10 the plan of salvation,11 the plan of redemption,12 the plan of restoration,13 the plan of mercy,14 the plan of deliverance,15 and the everlasting gospel.16 Prophets have used these terms interchangeably. 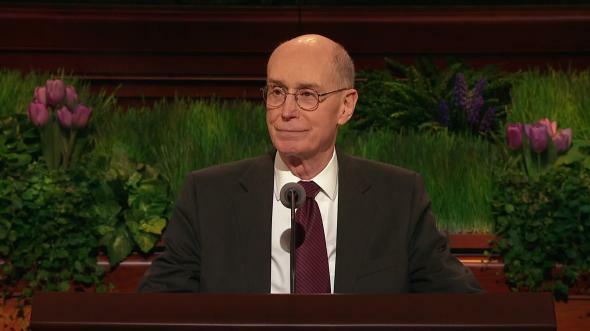 Regardless of designation, the enabling essence of the plan is the atonement of Jesus Christ. 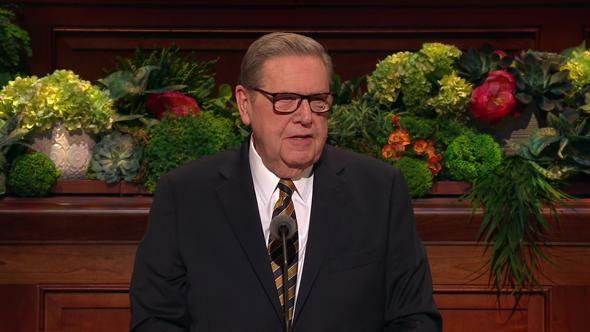 As it is central to the plan,17 we should try to comprehend the meaning of the Atonement. Before we can comprehend it, though, we must understand the fall of Adam. And before we can fully appreciate the Fall, we must first comprehend the Creation. These three events—the Creation, the Fall, and the Atonement—are three preeminent pillars of God’s plan, and they are doctrinally interrelated. The creation of the earth was a preparatory part of our Father’s plan. Then “the Gods went down to organize man in their own image, … male and female to form they them. “And the Gods said: We will bless them” (Abr. 4:27–28). And bless us they did, with a plan that would give us physical bodies of our very own. Adam and Eve were the first people to live upon the earth.18 They were different from the plant and animal life that had been created previously. Adam and Eve were children of God. Their bodies of flesh and bone were made in the express image of God’s. In that state of innocence, they were not yet mortal. They could have had no children,19 were not subject to death, and could have lived in Eden’s garden forever.20 Thus, we might speak of the Creation in terms of a paradisiacal creation. Now we come to the third pillar of God’s plan—the Atonement. Just as Adam and Eve were not to live forever in the Garden of Eden, so our final destination was not to be planet earth. We were to return to our heavenly home. Given that reality, still another change was necessary. An infinite atonement was required to redeem Adam, Eve, and all of their posterity. 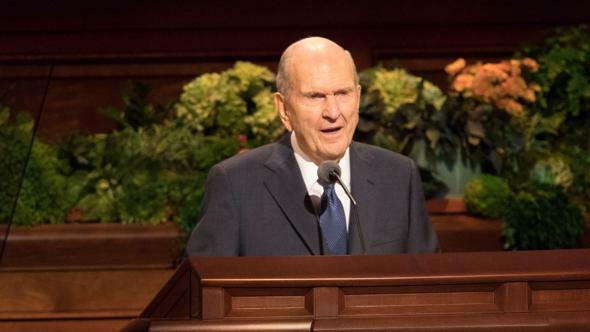 That atonement must enable our physical bodies to be resurrected and changed29 to a bloodless form, no longer liable to disease, deterioration, or death. “I lay down my life, that I might take it again. Thus, we might speak of the Atonement in terms of the immortal creation. “For as in Adam all die, even so in Christ shall all be made alive” (1 Cor. 15:22). Before leaving our discussion of unchanging plans, however, we need to remember that the adversary sponsors a cunning plan of his own.34 It invariably attacks God’s first commandment for husband and wife to beget children. It tempts with tactics that include infidelity, unchastity, and other abuses of procreative power. Satan’s band would trumpet choice, but mute accountability. Nevertheless, his capacity has long been limited, “for he knew not the mind of God” (Moses 4:6). I speak now of category three—unchanging principles. Unchanging principles are so because they come from our unchanging Heavenly Father. Try as they might, no parliament or congress could ever repeal the law of earth’s gravity or amend the Ten Commandments. Those laws are constant. All laws of nature and of God are part of the everlasting gospel. Thus, there are many unchanging principles. Time will permit consideration of only a few. 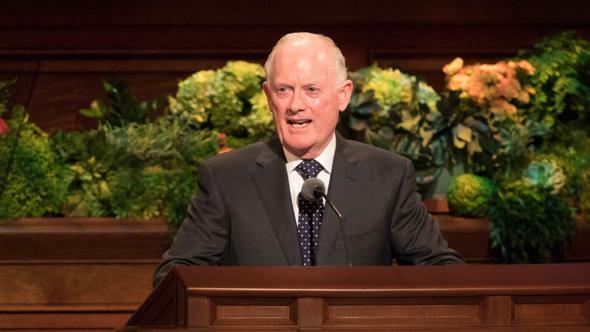 We know that “the Priesthood was first given to Adam; he obtained the First Presidency, and held the keys of it from generation to generation. He obtained it in the Creation, before the world was formed” (Teachings of the Prophet Joseph Smith, p. 157). “No power or influence can or ought to be maintained by virtue of the priesthood, only by persuasion, by long-suffering, by gentleness and meekness, and by love unfeigned” (D&C 121:41). “That [the rights of the priesthood] may be conferred upon [men], it is true; but when [they] undertake to cover [their] sins, or to gratify [their] pride, [their] vain ambition, or to exercise control or dominion or compulsion upon the souls of the children of men, in any degree of unrighteousness, … the Spirit of the Lord is grieved; and when it is withdrawn, Amen to the priesthood or the authority of that man” (D&C 121:37). While the priesthood is an everlasting principle, those privileged to exercise its authority must maintain themselves daily as worthy vessels. The Savior and His servants41 do not speak words of complacency but teach what people need to know. Through the ages, history attests that contemporary critics have pressed Church leaders to modify a decree of the Lord.42 But such is eternal law, and it cannot be altered. Not even for His Beloved Son could God change the law that required the Atonement. Divine doctrines cannot be squeezed into compact molds to make them fit fashionable patterns of the day. Nor can they be fully expressed on a bumper sticker. 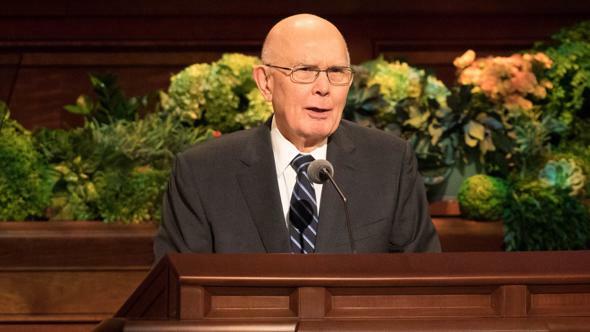 “Those who have thus been tithed shall pay one-tenth of all their interest annually; and this shall be a standing law unto them forever” (D&C 119:4; emphasis added). Another unchanging principle is that of truth. 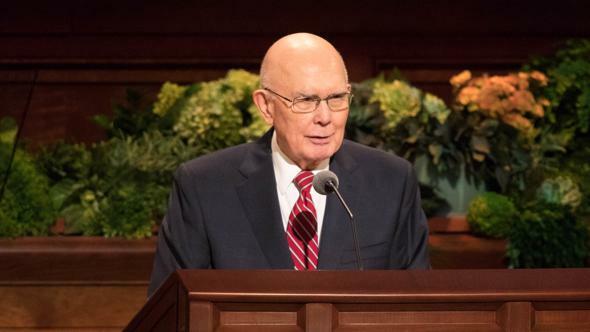 Scripture reminds us that “the truth abideth forever and ever” (D&C 1:39).46 Even though one’s understanding of the truth may be fragmentary, truth itself does not change. Everlasting truth and wisdom come from the Lord. The first truth ever taught to man came directly from Deity. From generation to generation, God has given additional light. Whether truth comes from a laboratory of science or directly by revelation, truth is embraced by the gospel. “If a man marry a wife by my word, which is my law, and by the new and everlasting covenant, and it is sealed unto them … [they] shall inherit thrones, kingdoms, principalities, and powers, dominions, … exaltation and glory in all things, … which glory shall be a fulness and a continuation of the seeds forever and ever” (D&C 132:19). A promise like that is worth your personal effort and endurance. Constancy amid change is assured by heavenly personages, plans, and principles. Our trust can be safely anchored to them. They provide peace, eternal progression, hope, freedom, love, and joy to all who will be guided by them. They are true—now and forever—I testify in the name of Jesus Christ, amen. For example, see Albert E. Bowen, Constancy Amid Change (Salt Lake City: Deseret News Press, 1944); N. Eldon Tanner, Ensign, Nov. 1979, pp. 80–82. See D&C 93:33; D&C 130:22. See also Ps. 100:5; Morm. 9:19; Moro. 8:18; D&C 84:102. See also Mosiah 16:9; 3 Ne. 9:18; 3 Ne. 11:11; Ether 4:12; D&C 10:70; D&C 11:28; D&C 12:9; D&C 34:2; D&C 39:2; D&C 45:7. See also Acts 4:12; 2 Ne. 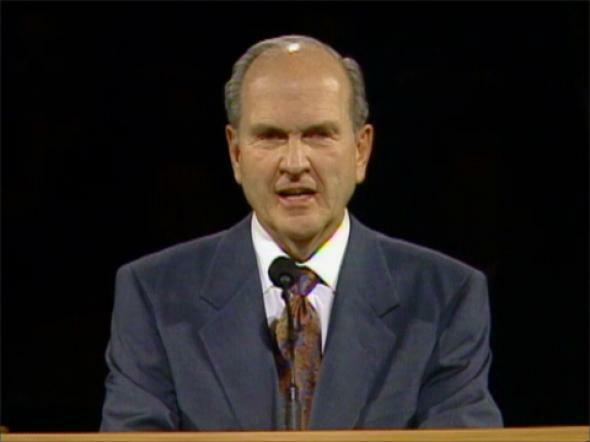 25:20; Mosiah 5:8; Alma 38:9; Hel. 5:9; D&C 18:23. See Teachings of the Prophet Joseph Smith, pp. 348–49, 365. See 2 Ne. 9:13; Alma 34:9. See Jarom 1:2; Alma 24:14; Alma 42:5; Moses 6:62. See Jacob 6:8; Alma 12:25–33; Alma 17:16; Alma 18:39; Alma 22:13; Alma 29:2; Alma 34:16, 31; Alma 39:18; Alma 42:11–13. See Alma 42:15, 31; 2 Ne. 9:6. See Rev. 14:6; D&C 27:5; D&C 36:5; D&C 68:1; D&C 77:8, 9, 11; D&C 79:1; D&C 84:103; D&C 88:103; D&C 99:1; D&C 101:22, 39; D&C 106:2; D&C 109:29, 65; D&C 124:88; D&C 128:17; D&C 133:36; D&C 135:3, 7; D&C 138:19, 25; JS—H 1:34. See Teachings of the Prophet Joseph Smith, p. 121. See Gen. 3:20; 1 Ne. 5:11; Moses 4:26. See 2 Ne. 2:23; Moses 5:11. See D&C 38:1; Abr. 3:22–23. See Gen. 1:28; Moses 2:28; Abr. 4:28. See Moses 3:17; Abr. 5:13. The Lord “called their name Adam” (Gen. 5:2; Moses 6:9; emphasis added). See D&C 101:78; D&C 134:1. See 1 Cor. 15:51–53; 3 Ne. 28:8. See Rom. 5:11; 2 Ne. 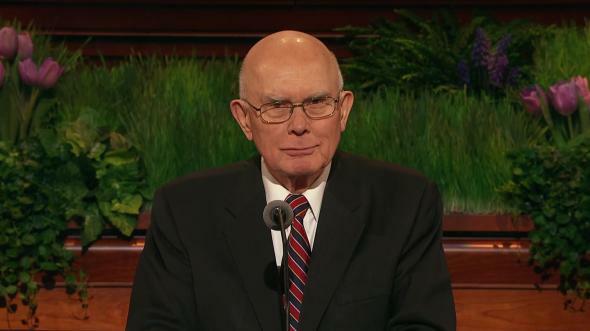 25:16; Jacob 4:11, 12; Mosiah 3:5–11, 16, 18–19; Mosiah 4:2; Alma 21:9; Alma 22:14; Alma 34:8; Alma 36:17; Hel. 5:9; Moro. 7:41; Moses 7:45. See also Ex. 40:15; Num. 25:13; Alma 13:7. See also D&C 84:6–17; D&C 107:40; Abr. 1:2–4. See Gen. 17:1–7; Gen. 22:16–18; Gen. 26:3–4; Gen. 28:13–14; Isa. 2:2–3; 1 Ne. 15:18; Alma 29:8; D&C 124:58; D&C 132:47; Abr. 2:11. For examples, see 1 Sam. 8:4–7; Matt. 7:21; Luke 6:46; 3 Ne. 14:21. See John 14:2; 1 Cor. 15:40–41; D&C 76:50–119; D&C 98:18. See D&C 64:23; D&C 85:3. See also Ps. 100:5; Ps. 117:2.